To ask Lexi Revellian questions, please sign up. 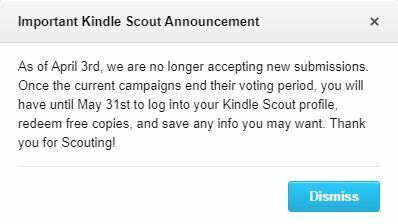 Goodbye, Kindle Scout, it was fun. Back in February Kindle Scout stopped selecting books. The weeks passed, and speculation grew. No books chosen for four weeks, five, six... then the announcement appeared on the site. Description: Beth Chandler works in a government research institute, and is accidentally replicated. The replica is surplus to requirements, has no official existence, and when she overhears plans to experiment on her she goes on the run in what she stands up in. Meanwhile, the original Beth is unaware of what has happened, and becomes romantically involved with the spec op she believes is there to protect her; in fact, he's hunting Beth 2. 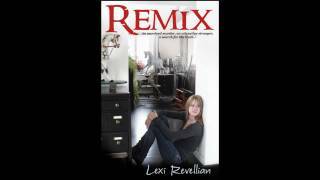 Lexi Revellian said: " This is a good read, written with Nick Hornby's usual wit. I'd have given it five stars, or at least four and a half, but for the inconclusive ending. If I'd been his beta reader, I'd have told him he had to tell us more and not leave the characters' This is a good read, written with Nick Hornby's usual wit. I'd have given it five stars, or at least four and a half, but for the inconclusive ending. If I'd been his beta reader, I'd have told him he had to tell us more and not leave the characters' problems so unresolved/untold. ...more "
My case might be an interesting one. I've just seen one other African writer (from South Africa) and her campaign has just ended. But I'm excited that Kindle Scout gives a chance to every writ..."
Hi P.! H & T is a moving target. The bar goes up all the time as more authors pay for Facebook ads and Fiverr promos - and there are sites which will take your money and claim to get you nominations. There's no way of knowing how many nominations your book gets. But honestly, that doesn't matter. It's just a case of whether you've written the sort of book Kindle Press thinks it can sell. I've had two books selected on Kindle Scout, and I didn't campaign, and my stats were totally unimpressive. ...more "
" You made me go and check. KU/KOLL account for more than half of my April US earnings. " We’d love your help. Let us know what’s wrong with this preview of Just One Wish by Janette Rallison.
" 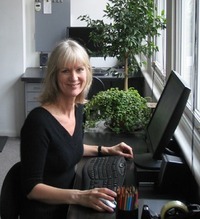 I've been blogging on Blogger for years, though not so much lately with one thing and another. Comments are always a nice surprise on Goodreads, as I I've been blogging on Blogger for years, though not so much lately with one thing and another. Comments are always a nice surprise on Goodreads, as I don't get many here. Goodreads is a strange world of its own where different rules apply... ...more "
People searching for cheap books to read online.